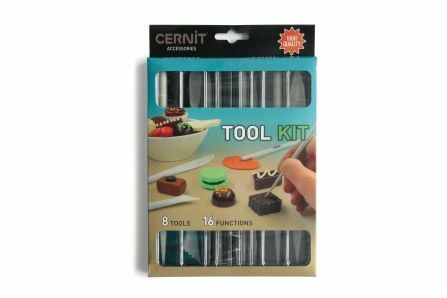 Thanks to the many Cernit accessories, create many objects, jewels, accessories in polymer clay! Very popular with polymer clay, texture plates are also used for stamping with acrylic or textile paint! Choose your favorite pattern in our range. The different models allow you to make many patterns. Print your plates of polymer clay, destruct the drawings and combine them with others for a unique and detailed finish! You get very easily prints on your plates for jewelry creation in particular. You will not fail to find your own style in our wide range. 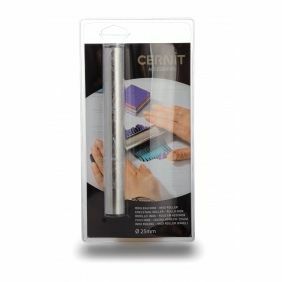 Print patterns with the palm of your hand or for a more even print with a Cernit stainless steel roller! Not one but several techniques are possible: Impression of the footprints, Sutton Slice to obtain a relief drawing but also the Mica Shift that allows to embed the pattern in the mica flakes of the clay, removing the relief. All plates are made of vulcanized rubber, obtained from latex. They are therefore not suitable for use by persons allergic to latex. Using Cernit silicone moulds, make many pieces quickly and easily in polymer clay, Paint & Peel paintable paint, Darwi self-hardening clay ...! If you're new to polymer clay, silicone moulds will quickly become your essential tools. These allow you to make sharp and detailed parts. 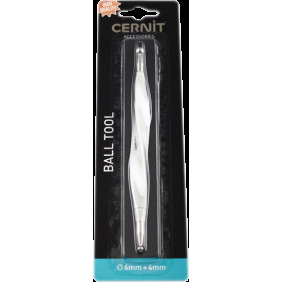 Preforming your Cernit polymer clay has never been easier! The youngest will appreciate these playful and easy-to-use molds. Also use these molds to preform the polymer clay and thus achieve identical decorative elements for the customization of boxes, ornament furniture, for your jewelry, etc. Thus, you easily get pieces of the same quality for a uniform decor. It is possible to bake the moulds to avoid deforming the material you used. When using the modelable paint, wait until the Paint and Peel 3 in 1 is completely dry before removing the part from the mould. You can then place it on a window, a mirror as a decoration. 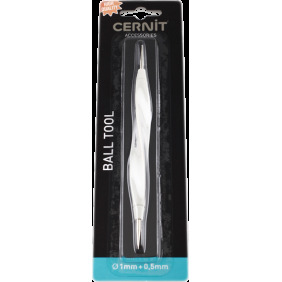 Model, cut, smooth, structure or give relief ... Cernit tools are your material for all types of realization with our modeling clay! 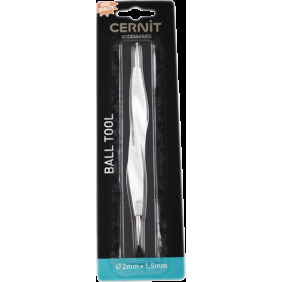 Cernit polymer clay or self-hardening Darwi, do not hesitate, you need modeling tools! 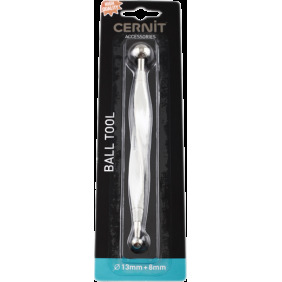 All your achievements will be precise and accurate thanks to the Cernit quality tools! Blades: flexible or rigid for clean and sharp cutting work! Bead roll: create regular and perfectly smooth beads! 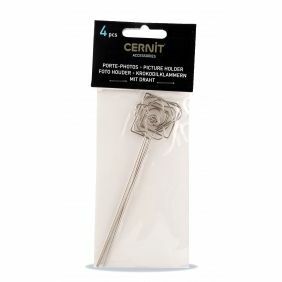 All polymerists will appreciate the high quality of Cernit jewelery and their 925 silver finish! Create unique jewellery or pieces. Thanks to the many variations of the Cernit range and the parts, simply create original and unique pieces. Thus, you can create a set of matching earrings and pendants for a special occasion or to wear everyday. Very durable, the parts do not deteriorate over time and keep the same delicacy and strength. They can be baked with Cernit polymer clay. Be sure to follow the cooking instructions. 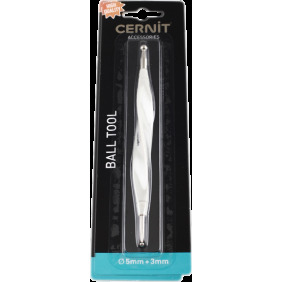 Your beads are perfectly formed and regular with the Cernit bead roller. Thanks to this tool, you can create beads of a same diameter which are then ready to be baked! As you start with polymer clay, you will need a roll! To smooth, spread or embed textures in the clay, it's the perfect partner. Stainless steel is very resistant and does not stick to the clay. Oval, triangle, round ... Cernit jewelery pendants and bases allow you to quickly create pretty jewels (necklace, earrings or even brooch) with a glossy 925 silver finish! 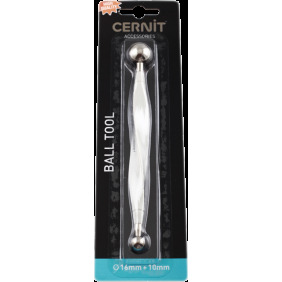 Once tested, you will surely take the ball tools as part of your favorites. Some pressures with the appropriate diameter and you can create relief on dolls or figurines and slim petals of clay to make them more realistic! 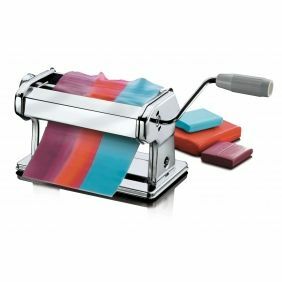 This tool is essential for experienced polymerists as the pasta machine allows you to create sheets of a regular thickness and perfectly blended colour gradients. 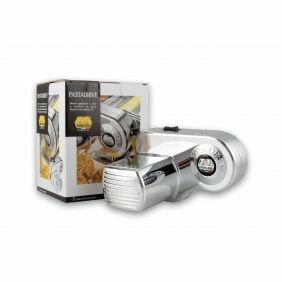 Once your pasta machine is set up, you will definitely want to equip it with a motor. Once equipped, the rolls turn automatically and allows to create even more clay sheets of regular thicknesses and perfectly blended gradients. Give a practical side to your creations and small figurines in Cernit polymer clay! The photo holder is a good idea of creation, simple to create and an easy gift idea. This accessory is baked with your polymer clay object! For your polymer clay, your resins, self-hardening clays, the moulds have a wide use. With their help you can quickly create buttons, owls, roses, flowers, hearts and other pieces. Structure plates, silicone moulds, modelling tools, jewellery parts... Many possibilities open up to you ! Create decorative elements with silicone moulds, stylish jewelery with texture plates, or use tools to shape your doll or figurine sculptures. Jewelery parts allow you to create matching trimmings. Pendants, earrings, key chains or brooches ... Let your imagination speak! The novices, as well as the more experienced users, will appreciate the ball tools to create relief, the blades to cut sharply, the textured plates to create a variety of effects! Among the essentials to get to start the polymer, you will find the blades, the stainless steel roller and textured plates that will quickly become your allies for the creation of jewelry or for printing other Cernit pieces. Divert their uses for more creation!